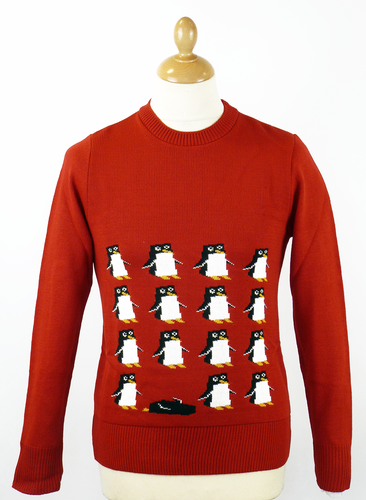 'PENGUIN PARTY' RETRO SEVENTIES INDIE CHRISTMAS JUMPER (Red). Please be upstanding for the Christmas Penguins! Hear the patter of tiny Penguin feets in their well presented Tuxedo shirts and black suits as they form an orderly line waiting for the commencement the famous 'Penguin Party' - The ultimate Christmas event! 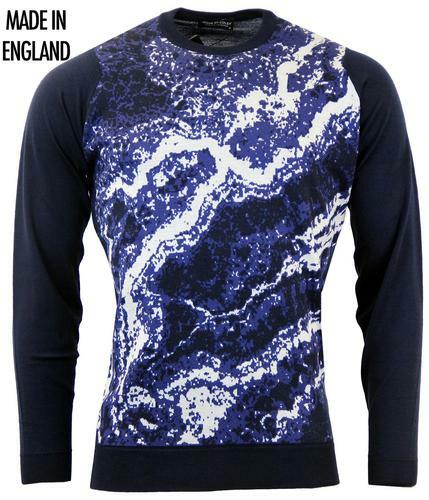 P P P Pick up yourself a Retro Seventies Intarsia knitted Christmas Jumper - The great Festive Indie Pullover! .... Yep, it's the one on the top left.... oh, I see you thought it was the dead one on the bottom row. Only kidding, that penguin lying face down is the King Party Penguin and he's over done it on the Christmas festivities! 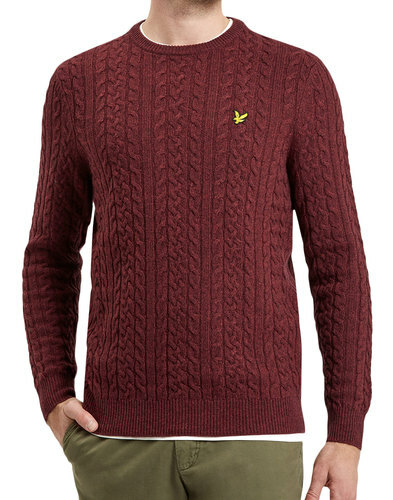 Red Retro knitted Christmas Jumper with cool Seventies Indie intarsia knit design. A cool line up of cute little penguins present themselves at their Penguin Party and everyone's invited. 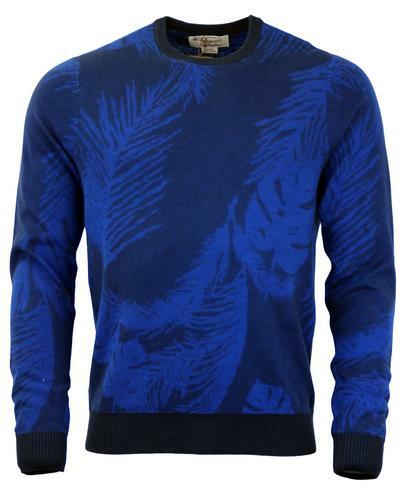 Crew neck, ribbed hem and cuffs. 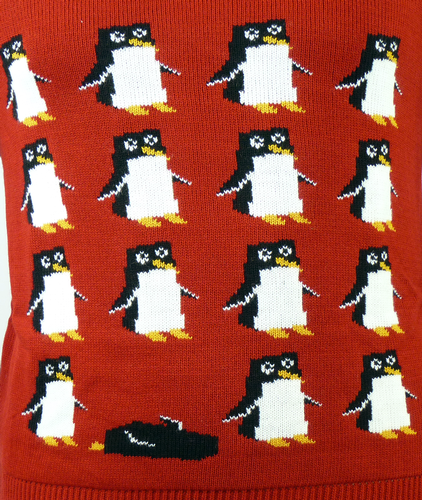 'Penguin Party' Retro Christmas Jumper. 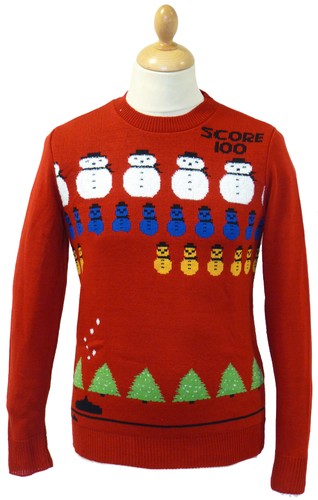 'PENGUIN PARTY' RETRO SEVENTIES INDIE KNITTED CHRISTMAS JUMPER. 'PENGUIN PARTY' RETRO SEVENTIES INDIE KNITTED CHRISTMAS JUMPER - Red crew neck knitted Retro Christmas Jumper with Seventies Indie intarsia pattern. Rows of Penguins make a striking festive fashion statement. Finished with ribbed hem and cuffs. Care: Machine wash. Please refer to full instructions on garment label. SKU: JM1167 'Penguin Party' Christmas Jumper. 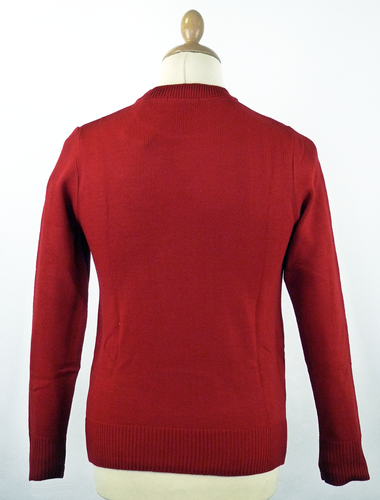 'Penguin Party' Mens Retro Seventies Indie Intarsia Knit Christmas Jumper (Red). Extra Small - XS - 34 inch chest. Small - S - 36 inch chest. Medium - M - 38 inch chest. Large - L - 40 inch chest. Extra Large - XL - 42 inch chest.